Artist Fernando Ortega encountered a ferryman in Mexico who takes people from one side of a river to another. The ferryman plays CDs during the crossing but, as the journey only lasts about a minute, the passengers never hear a full track. 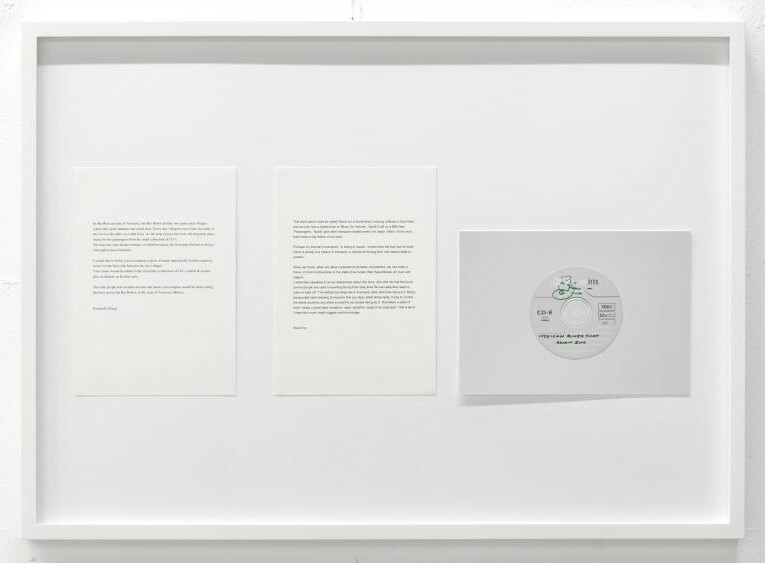 Ortega asked Brian Eno to write a piece of music brief enough to be played in its entirety. Brian Eno: This short piece could be called Music For A Small Boat Crossing A Medium Size River, and as such has a relationship with Music For Airports, Small Craft On A Milk Sea, Passengers, Apollo and other transport-related works I've made. When I think back, that's been a big theme of my work. Perhaps my interest in transport - in being in transit - comes from the fact that art itself (when it works) is a means of transport: a means of moving from one mental state to another. When we travel, when we allow ourselves to be taken somewhere, we can enter a frame of mind not dissimilar to the state of surrender that characterises art, love and religion. I remember speaking to an air-stewardess about this once. She told me that the more control people are used to exerting during their daily lives, the less able they were to relax on takeoff: 'The whitest knuckles are in business class' was how she put it. Being transported (and enjoying it) requires that you stop, albeit temporarily, trying to control the whole universe and allow yourself to be carried along by it. That takes a state of mind I enjoy a great deal; receptive, open, watchful, ready to be surprised. That is what I hope this music might suggest and encourage. 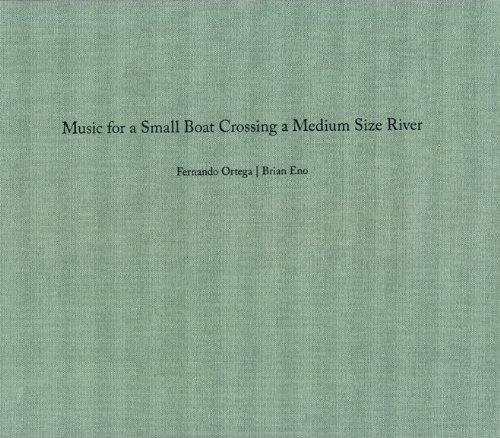 Music For A Small Boat Crossing A Medium Size River is a limited-edition book of photographs by Fernando Ortega together with his story of the ferryman and a page of text by Brian Eno to accompany the music he created for a one-off CD. The book includes a photo of the CD but not the CD itself, as the only copy is with the ferryman in Mexico. Ortega's 2012 exhibition at the Palais de Tokyo in Paris also included the same photo.